Join George in Atlanta and Mark in St. Paul/Minneapolis for a periodic discussion of issues impacting the LGBTQ community and the community at large. N&S 34 I want my country back, please. Mark and George take some time to talk about traditions and strange celebrations from around the globe to ring in the new year. (January 11, 2017). Note: Mark and George took a hiatus from the show for almost two years. The show returns December 2018 with Episode 34. Stay tuned. N&S 31 What went wrong? How to move forward. N&S 29 Relax, damn it! N&S 28 Who Said That? On this episode, Mark and George talk about their cities' respective NFL stadiums currently under development. Atlanta and Minnesota are both using public financing for the development of these professional sports teams. Is this fair? Does the community benefit from these facilities? Or does this amount to corporate welfare for very wealthy team owners? 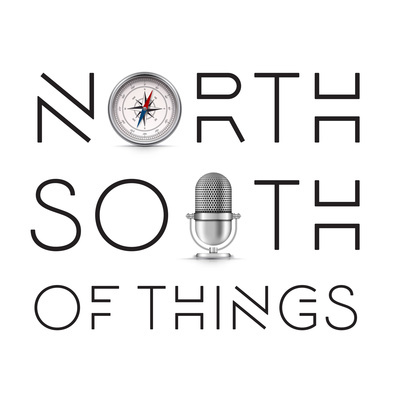 On the second episode of the North & South of Things podcast, Mark and George discuss aging LGBT issues. We talk about aging issues in the gay community as presented in the Netflix series "Grace & Frankie" (2015) as well as two documentary films - "Before you know it" (2013) and "Out Late" (2008).